The beautiful Buckeye state boasts colorful forests, thriving wetlands, beaches along Lake Erie, and numerous nature preserves. 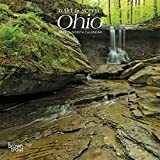 Celebrate the natural splendor of Ohio with this stunning square wall calendar. Ohio offers both lovely rural scenery and big city sights. 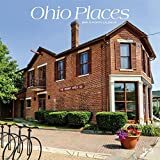 Cincinnati, Cleveland, and Columbus serve up a rich mix of history, the arts, and fine dining, while friendly small towns and handsome farms offer a more relaxed and neighborly atmosphere. 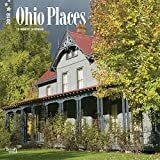 This square wall calendar shows some of Ohio’s many fine places of interest. The beautiful Buckeye state boasts colorful forests, thriving wetlands, beaches along Lake Erie, and numerous nature preserves. 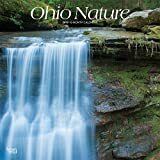 Celebrate the natural splendor of Ohio with this stunning mini wall calendar. 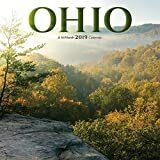 From the stunning expanses of the Ohio River to the country fields and the bustling cities, the 2019 Ohio wall calendar offers all of the gorgeous scenery of a family vacation. So make your planning easier with this beautiful Buckeye calendar spacious enough for your appointments and engagements. Sixteen-month wall calendars include each month in 2019 as well as the last four months of 2018, printed on paper certified by the Forest Stewardship Council.